generation of leaders who care about society as well as the bottom line. Thousands of graduating MBAs have now pledged to conduct themselves with honesty and integrity, just as medical students swear by the Hippocratic oath before they can practice. This book is the manifesto for the movement. 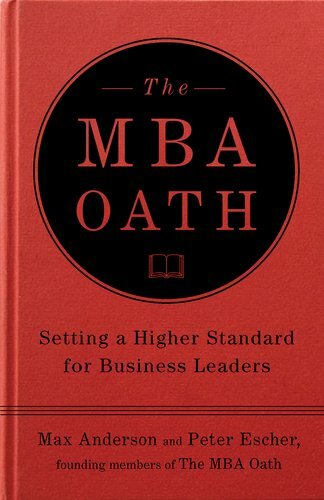 It provides not only a strong case for why the MBA Oath is necessary but also examples of how it can be applied in the real world. It will help guide businesspeople through some of the toughest decisions they'll make in their careers.